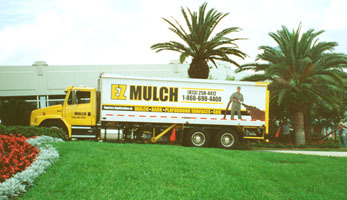 EZ Mulch offers the fastest and most cost-effective way to apply landscaping materials! Let EZ Mulch spread your landscape materials with our Express Blower service. Located in Tampa, Florida we can cover your landscaping needs. When you consider the cost of labor, equipment, and time wasted spreading manually, you'll never push another wheelbarrow again!